Future Free Vein Screenings will be available during office hours Monday, Tuesday and Thursday. Please call to schedule your appointment. 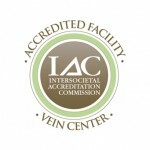 Welcome to the North Shore Vein Center! Join Dr. Schwartz and his staff! Sign up for our Online Spider Vein Special Above! $100 OFF your first Spider Vein Treatment.